Officials from OPM have announced that federal employees will see their health insurance premiums increase by an average of 7.4% in 2016, an unacceptable increase says NAGE National President David J. Holway. “Federal employees have been subject to furloughs, pay freezes, a government shutdown, and threats against their due process rights, and now they are being asked to shoulder the burden of rising healthcare premiums,” Holway said in a statement. Enrollees in the Federal Employees Health Benefit Program will pay 7.4% more on average for their insurance premiums starting in January, while the government's share of premiums will increase 6% on average, the Office of Personnel Management announced. “This is absolutely deplorable. The government is shifting more and more of its own costs of doing business onto the public servants who do the thankless job of making sure the government works. How are these people supposed to live their lives with the ever-growing obligations levied on them and their families?” Holway said. Average premiums for non-postal employees and retirees will increase 6.4% in 2016, which is double last year's increase and the highest increase in six years. At a briefing with unions and media, OPM attributed the increase to a jump in prescription drug costs, saying such spikes disproportionately affect FEHBP because federal retirees are included in the program’s risk pool. As premiums rise, the FEHBP is speeding closer toward prices that will subject plans to a so-called Cadillac surtax under the Affordable Care Act – a cost that will again be passed on to enrollees. Premiums also are increasing an average of 2.23% for dental plans and 3.61% for vision coverage, OPM said. Enrollees will be able to make changes to their insurance plans and options during the open season, which runs from Nov. 9 to Dec. 14. OPM will also offer a “special enrollment period” in February to allow active federal employee enrollees who would have been better served switching to self-plus-one more time to make the change. 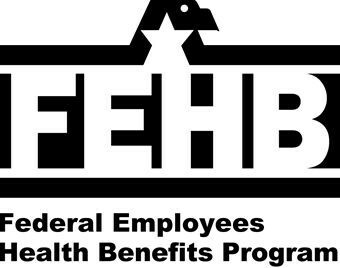 Expect to see more information coming regarding FEHB enrollment and your plan options as a federal employee coming soon.